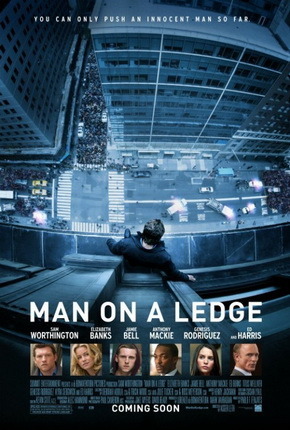 Odd ball caper film has a an escaped prisoner climbing out on the the ledge of a hotel and holding the police at bay while across the street his brother and his brother's girlfriend make an effort to break into the vault of the man who framed him. Mindless popcorn film is exactly the sort of thing that is perfect to curl up with on the couch. While far from high art and not particularly logical it is worth seeing if only to watch the cast of Sam Worthington, Ed Harris, Anthony Mackie and William Sadler go through their paces. I liked it and I'm at a loss as to why the film has more or less completely disappeared off the face of the earth. Worth a look if you run across it.